A Conservative MP has launched a bid to amend the law to reinstate the charitable status of churches and other religious bodies. 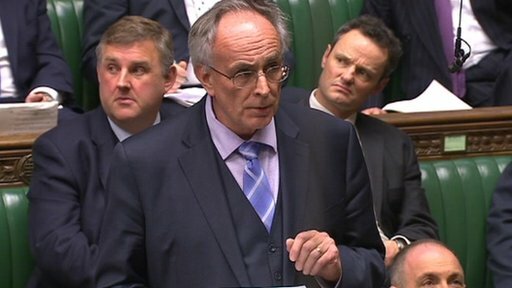 Peter Bone introduced a bill on 19 December 2012 to amend the Charities Act 2011 so that all religious institutions are treated as charities. The act, which sets out how all charities in England and Wales are registered and regulated, scrapped the presumption that religious bodies were charities. This had allowed the state to "interfere" with institutions via the Charity Commission, Mr Bone claimed. He said organisations such as the Plymouth Brethren, , which has 16,000 members across Britain, should automatically be seen as charities so they can carry on enjoying tax breaks. The Brethren was stripped of its status by the Charity Commission which claimed it did not do enough community work to justify the status. Mr Bone feared that if the regulator's decision went unchallenged, the Salvation Army and the Church of England could also lose their charitable status. "If [charitable status for religious institutions] is not reinstated in the act we will bring about consequences that will not only be detrimental to the charities sector but the very fabric of our society," he argued. The House approved the introduction of Mr Bone's bill by 166 votes to 7, but it is unlikely to become law without government support.